For those who set a standard of excellence in their lives, The Pines at Wilmington in Wilmington, NC, is excited to be that home. The Pines is fully prepared to be the home you need in a peaceful, setting you won’t find anywhere else. Our community is right by the pristine, charming Cape Fear River. The green, beauty, and gracefulness of the South set the backdrop for a unique living experience you'll be eager to call home. But you'll not only find ways to relax at The Pines, but you'll also find a foundation of hand-picked features to enhance your life. Enjoy our beautiful swimming pool to relax in on a hot day. Our younger residents can enjoy our local playground, providing an easy way to have a fun afternoon without having to leave home. We even feature beautiful gazebos on our property as well.  Residents with any lifestyle can find something to enjoy at the Pines of Wilmington. The Pines proximity to the ocean, as well as Cape Fear River, is complemented by our apartment amenities. We feature cable ready units complete with a balcony, dishwasher, and large closet space. Our residents enjoy the esteemed sense of community that permeates The Pines and its surrounding neighborhood. Whether you've come searching for that sense of community, the quiet conveniences of premier apartment living, or a great location near business, shops, and restaurants, you'll find it at The Pines. We are near to I-40, providing our residents quick and easy access to area shopping plazas, local dining establishments, and the rest of the state, making the work commute a breeze no matter where you work. Step into your comfort zone, and make The Pines your next home.